1. Downloaded the firmware and installed by replacing files, and the instructions on installation. Despite all this, there is no HSS - on one of my two VT 11s after pressing the wheel, it says 'Fuji does not do HSS' - even though it instructed me to take a shot at 1/1000. On the other VT11 it learns it, and 'HSS on' appears, but it does not synch at speeds above 1/250 on the XT2. The flash guns are the Nissin i40 and the Fuji EF-42. So, the VT11s will synch normally at 1/250 and under, but still don't provide HSS at all over 1/250. I await any further firmware upgrades, but might have to take these back to have a refund unless anyone can tell me how to make them work? The flash guns are the Nissin i40 and the Fuji EF-42. Neither of your flashes support HSS! So it is normal that they are not working on your X-T2, or any camera for that matter. Seems like you need to get a HSS-compatible portable flash before you run any further tests. Ah - are you saying that my flashgun needs to be HSS compatible - and that the Nissin and Fuji flashes I have will never work with the V6 II? So I need to buy an HSS compatible flash? I thought you could get HSS with any flash gun..? EF-42 and i40 for Fuji doesn't support HSS. Although you can turn on the HSS manually on the i40, but it40 doesn't have HSS date transaction to the camera or even flash trigger. Because those flash doesn't have HSS support, it cannot use HSS on the V6II. However, if you have other flashes that support HSS, for example TTL flash of Canon, Nikon and Olympus system, the Fujifilm camera with V6II will be able to fire the remote flash in HSS. for i40 and fuji, i40 can only hss on M mode. So - is your website not correct, as when I read this, I bought the V6II expecting these flash guns to work HSS. I see what Andrew is saying and when I read the website I came to the same conclusion. I think there needs to some alteration to the website. I guess the i40 flash tube is ready for HSS. The flash pulse is long enough to cover the shutter of camera. The Fujifilm doesn't have native HSS support to the flash. There is no HSS signal through the camera hot shoe. With V6II, the camera can trigger the flash in sync with HSS. 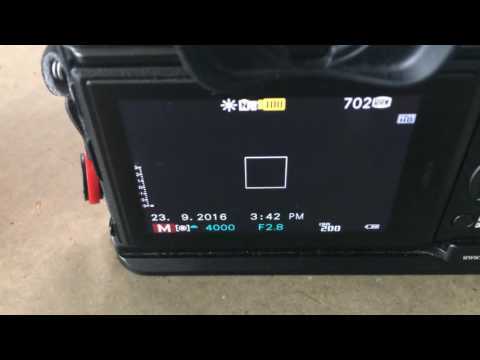 This is the similar situation when using V6II on studio strobe.